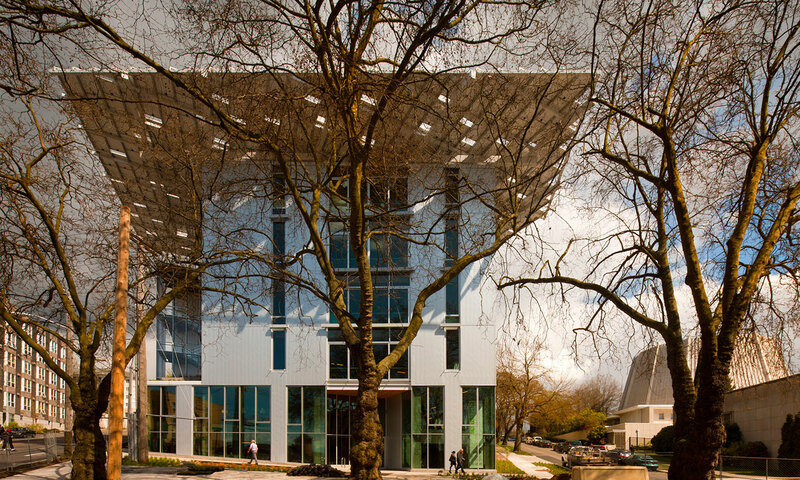 The Bullitt Center is the first urban building to satisfy all of its own energy, water and waste needs and has been called ‘the greenest office building in the world.’ Built to last 250 years, the Bullitt sets a high bar for the level of sustainability possible in a city setting. In developing the six-story, 50,000 sf Class A office building with essentially no environmental footprint, the integrated design process involved architects, engineers and contractors working together from the start to create a new paradigm for the design, engineering, and construction of high-performance buildings. 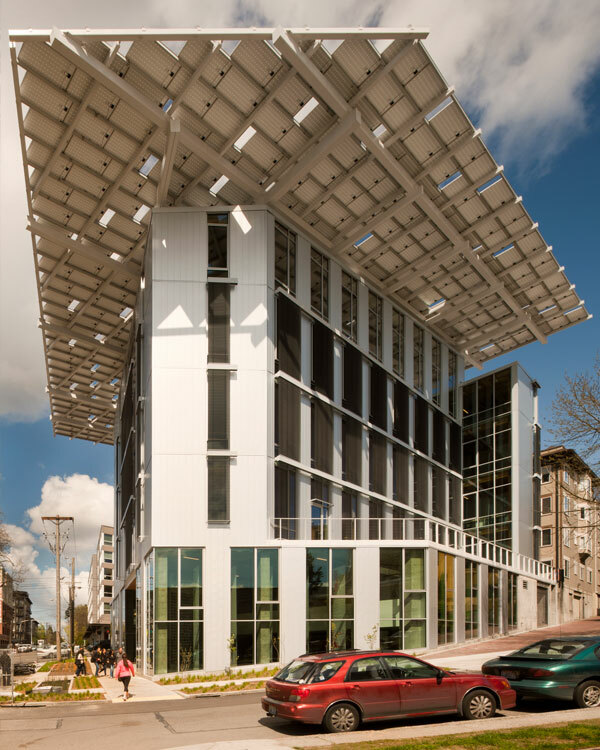 In addition to meeting LEED Platinum and the 2030 Challenge, the building achieved Living Building Challenge goals. 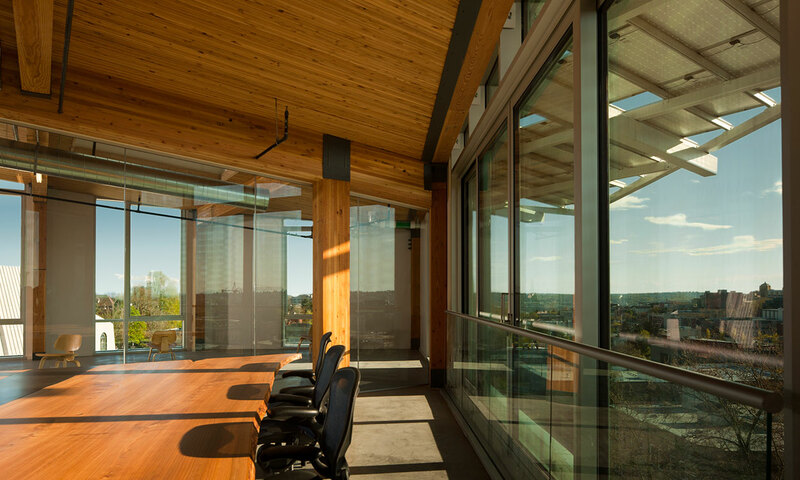 The new headquarters of the environmentally-oriented Bullitt Foundation serves as a living laboratory to elevate environmental awareness within a commercial, revenue-driven setting. 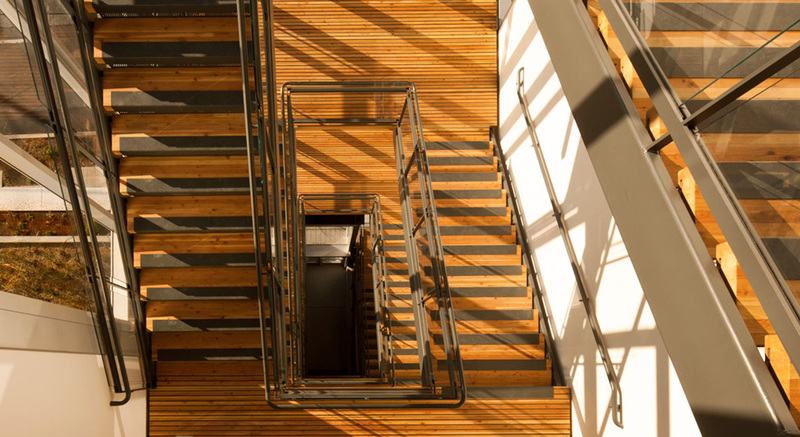 Both functional and interpretive elements visibly convey the benefits and interconnectedness of sustainable design regarding architecture, energy use, and materials sourcing. 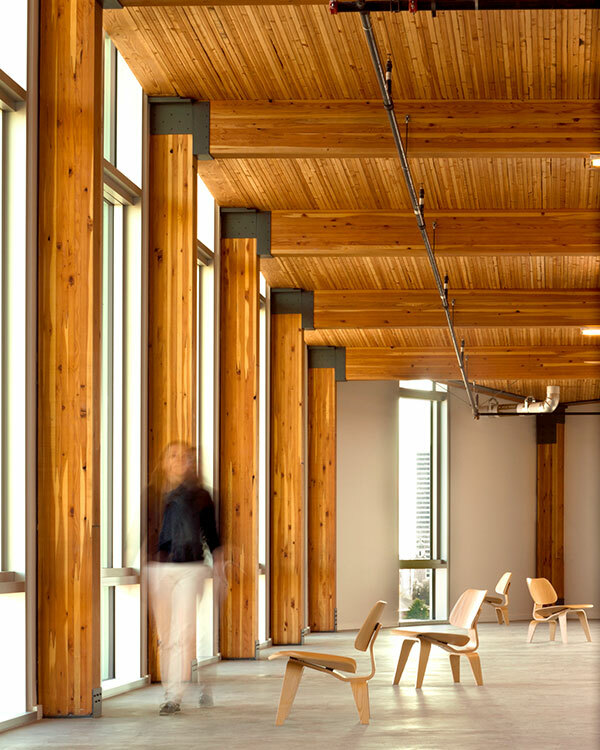 Sustainable features include 100% on site renewable energy; ground source and radiant heating; on site water and waste management through composting toilets, underground cisterns, and constructed wetlands; as well as a naturally day-lit and ventilated work environment. 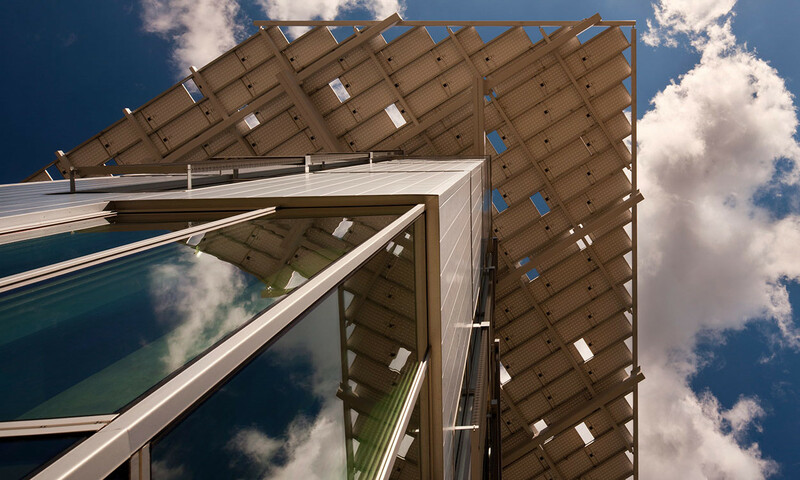 The building technology, building envelope and supporting structure are engineered as separate components that can be updated separately and/or disassembled as advances are made without impacting other aspects of the building.